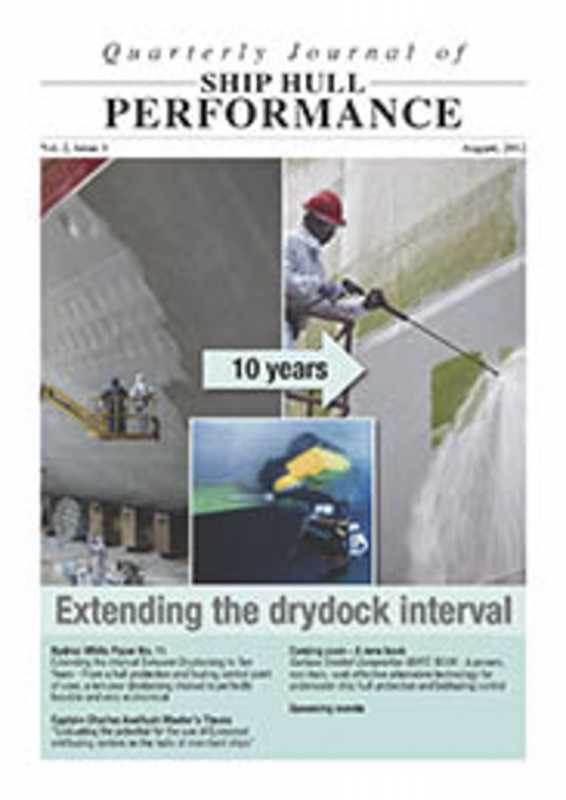 • The August 2012 issue of the Journal of Ship Hull Performance includes Hydrex White Paper No. 11 which opens the door to a ten year drydocking interval, at least from the hull protection and biofouling control point of view. • This issue of the Journal also includes excerpts from a thesis by Capt. Charles Assifuah on the subject of Ecospeed, and its value to merchant shipping as the ideal underwater hull coating system. 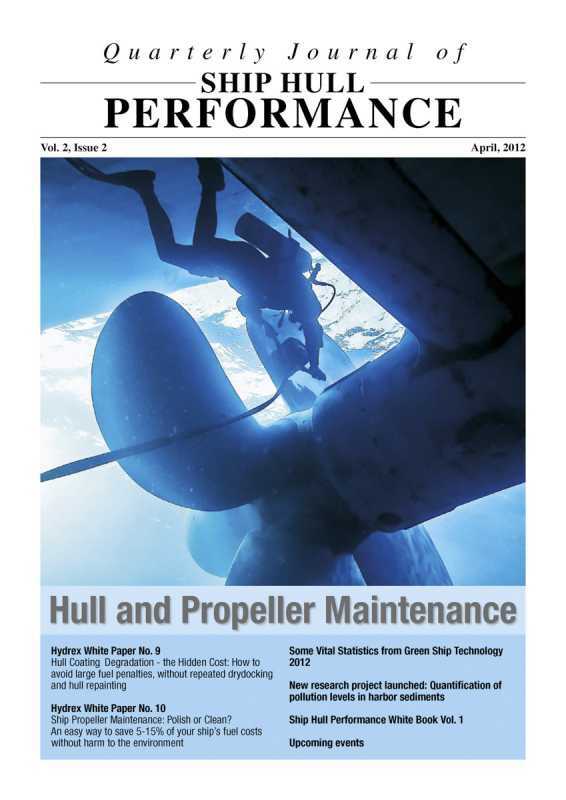 • The April 2012 Journal of Ship Hull Performance covers two main topics of immediate relevance to saving fuel through hull and propeller protection and maintenance. • Hydrex White Paper No 9 covers hull coating degradation, its causes, its effects on fuel consumption and how to eliminate it. • Hydrex White Paper No 10 provides a better alternative to keeping a ship's propeller smooth and clean and saving 5-15% on fuel costs. 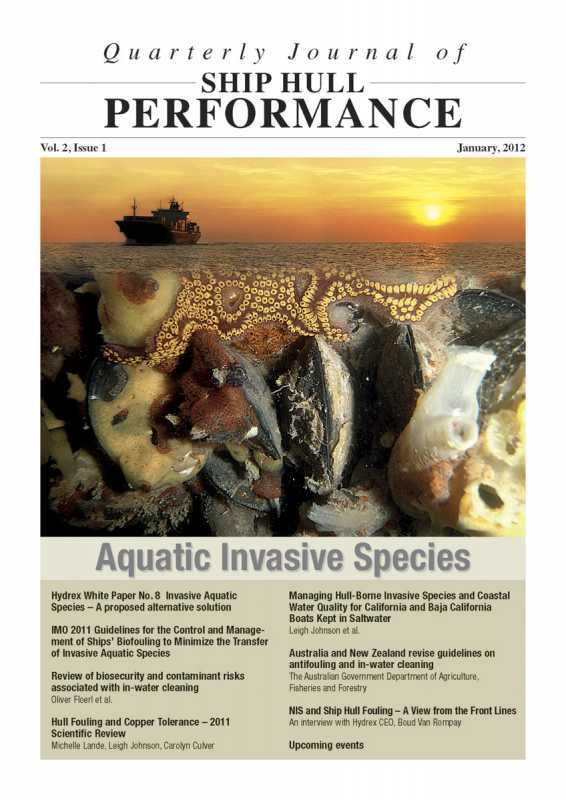 • The January 2012 issue of the Journal of Ship Hull Performance is all about hull-borne aquatic invasive species. • Hydrex White Paper No. 8 is a complete overview of the subject and provides an alternative approach to dealing with this increasingly hot topic. 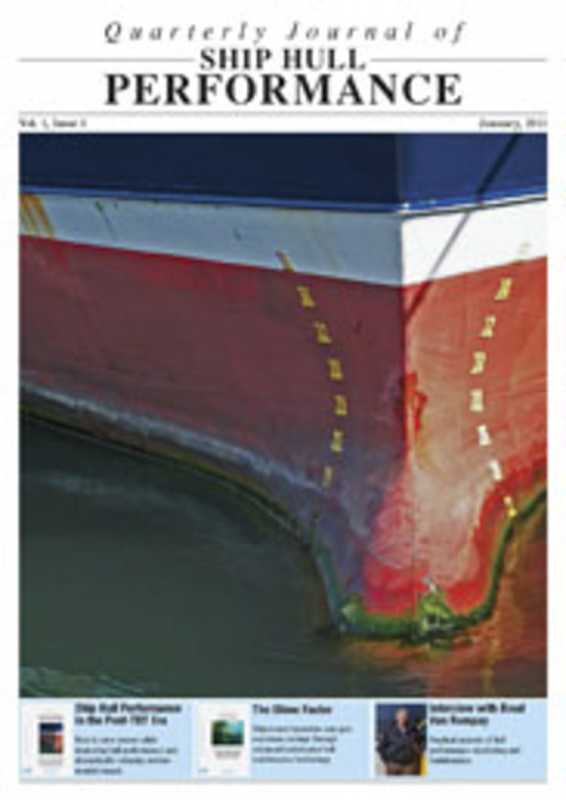 • Hydrex White Paper No 7 "Is the Writing on the Wall for Copper-based Antifouling Paint?" • Tributyltin pollution on a global scale. 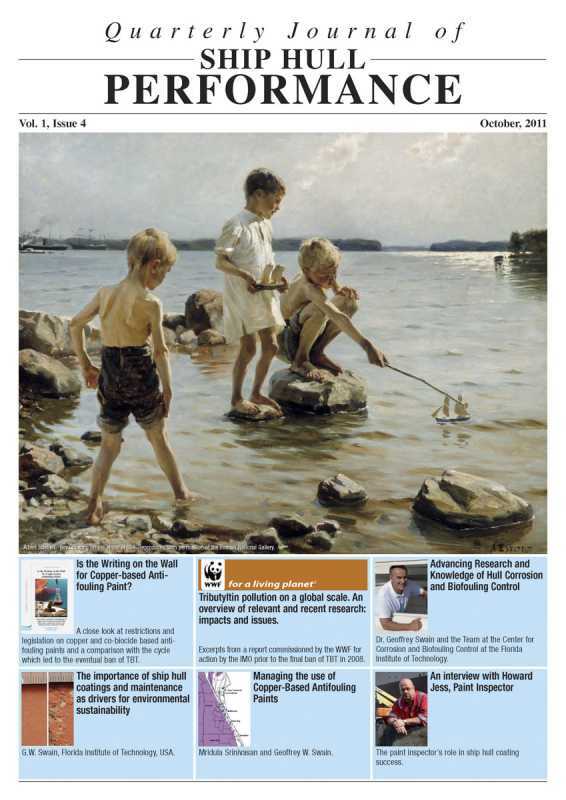 Excerpts from a report commissioned by the WWF, written by Dr. Simon Bray and edited by Dr. Bill Langston of the Marine Biological Association. 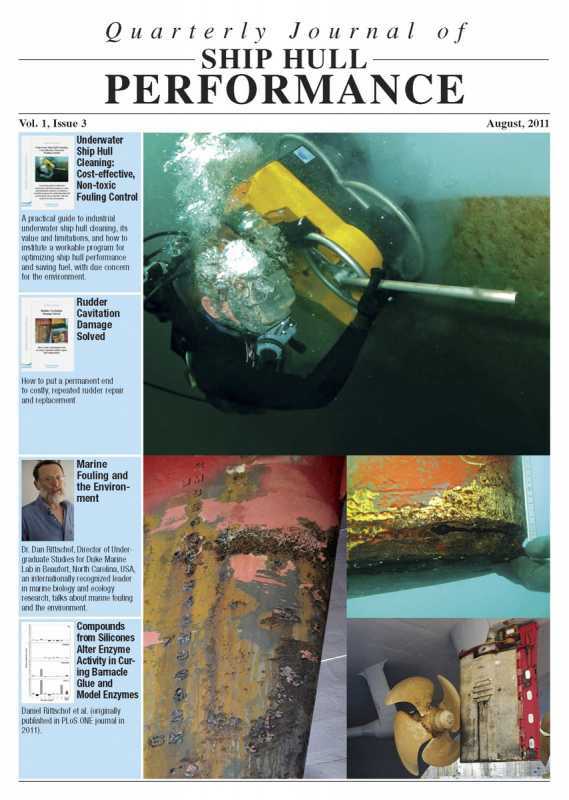 • Dr. Geoffrey Swain and his Team at the Center for Corrosion and Biofouling: Advancing Research and Knowledge of Hull Corrosion and Biofouling Control including two full papers. Best approach to safeguarding of the marine environment through correct hull protection and maintenance. 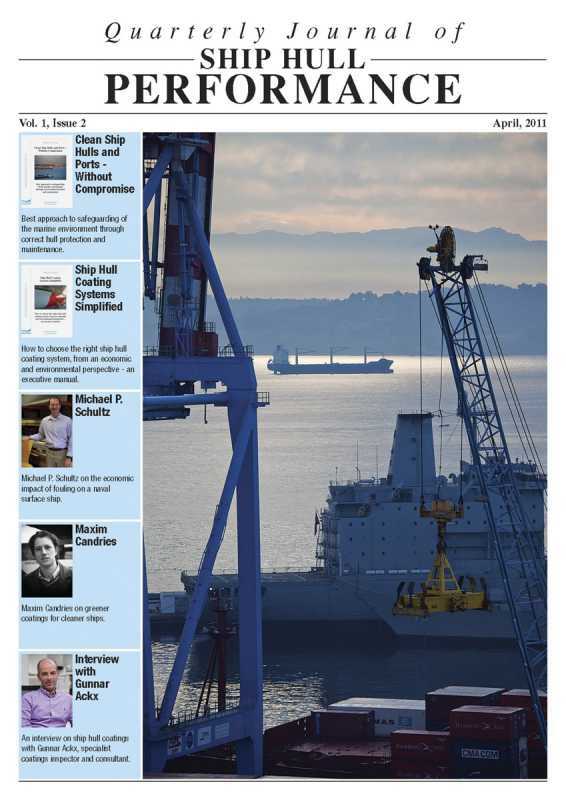 How to choose the right ship hull coating system, from an economic and environmental perspective - an executive manual. • Michael P. Schultz on the economic impact of fouling on a naval surface ship. • Maxim Candries on greener coatings for cleaner ships.